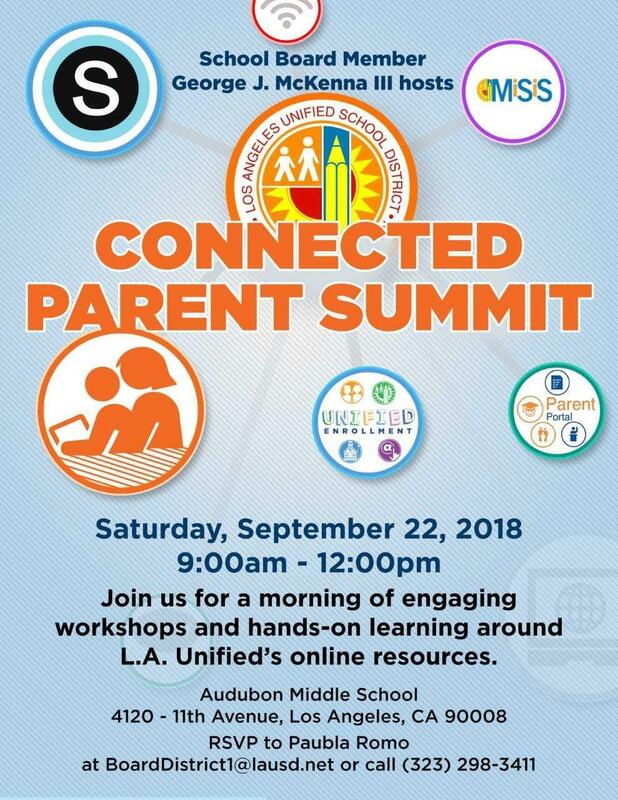 School Board Member George J. McKenna III hosts Connected Parent Summit at Audubon Middle School on Saturday, September 22, 2018 from 9:00 am to 12:00 pm. 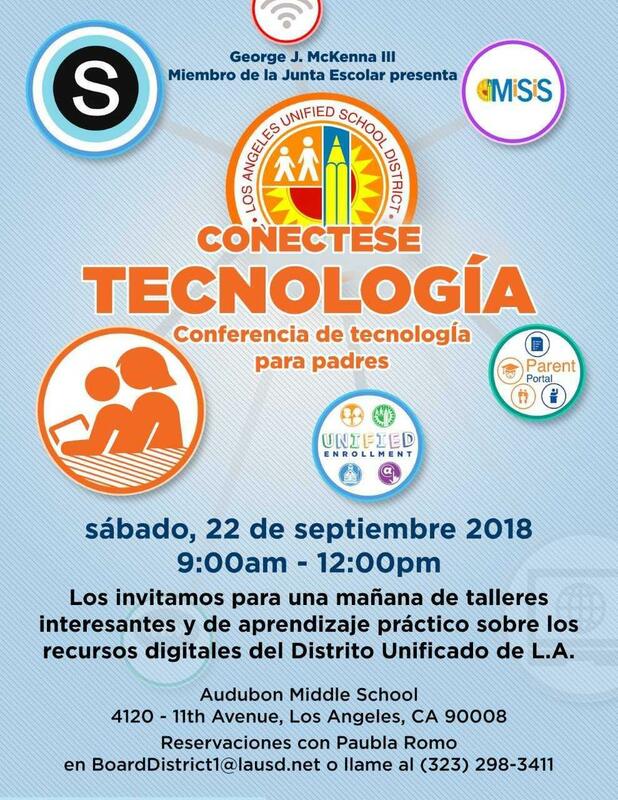 Join us for a morning of engaging workshops and hands on learning around LAUSD's online resources. RSVP with Paubla Romo by emailing BoardDistrict1@lausd.net or call (323) 298-3411.